The holidays are fast approaching which means it is time for CEA to plan our annual holiday event/business meeting! Every year on the second Tuesday of December we get together to hold elections and update our members on all CEA happenings in the prior year. This year, our meeting will be hosted by the Lincoln Park Zoo, courtesy of our Program Committee Co-Chair, Kathy Kiser. After the event stay and enjoy the complimentary parking to attend Zoo Lights! Also, the position of Secretary on the CEA Executive Board is up for election this year. If you are interested in running or know someone who may be a good fit, we encourage you to fill out the Nomination Form. Nominations will be accepted on a rolling basis until 11/20. Committee positions are also available on the Strategic Planning/Member Engagement Committee, Professional Development Committee, and the Communications Committee. Please reach out to us if you would like to learn more about these roles. If you will be attending the American Evaluation Association Annual Conference October 31-November 3 in Cleveland, we are hosting a meet up on Wednesday evening at 8:05pm. We will proceed to a local Cleveland restaurant for a dutch-treat dinner and networking. If you cannot make this meet up, we have also compiled a conference schedule featuring CEA members - so you can easily identify and support your fellow Chicago evaluators at the conference. I hope to see you soon at an upcoming CEA event! As always, please feel free to reach us at connect@evalchicago.org if you have any questions or comments for CEA Leadership! 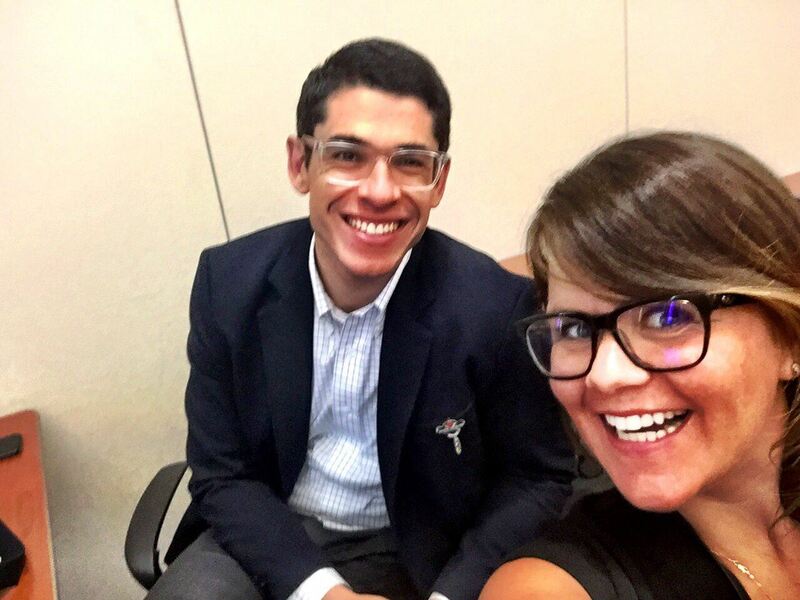 On Thursday, August 30, 2018 CEA co-sponsored the EC2 Conference along with several groups from Northwestern including the Evaluation, Data Integration and Technical Assistance Program (EDIT) team, Institute for Public Health and Medicine, and Northwestern University Evaluation and Research Alliance (NU-ERA). Following the keynote, the conference convened representatives from Northwestern University, community-based organizations and the Chicago Department of Public Health for a panel. They discussed their experiences working together on comprehensive, citywide HIV prevention projects since 2015. Northwestern University took an empowerment evaluation approach to assist agencies in implementing their HIV prevention programs throughout Chicago. The panel of diverse community-based organizations shared their experiences, with most reflecting that this was their first times being involved in the monitoring and evaluation of their programs. It was clear that all partners felt this was a tremendous learning opportunity. After lunch, the conference attendees were split into two groups to work through a few topics including: Partnership in Practice: Meeting Communities Where They Are; Empowerment vs. Extraction: Building Data Capacity in Organizations; and Comprehensive Collaboration: How Partnerships Can Help Us Address Health Disparities. To wrap up the day, attendees reconvened and shared highlights from their group discussions and ideas for action and next steps. Thank you to the members who submitted their conference sessions. We look forward to stopping by and learning from you! Chicagoland Evaluators interested in Indigineous Evaluation are likely familiar with Nicole Bowman's work. On October 10, 2018 Dr. 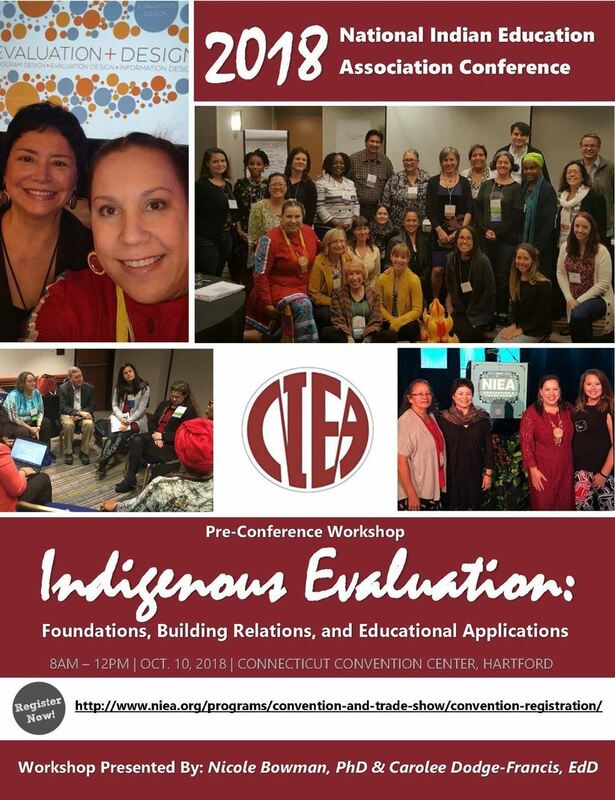 Bowman will lead a pre-conference workshop at the National Indian Education Association Conference. Escalating domestic and global tensions in our social, political, and economic institutions require that we acknowledge the urgency as well as imperative to expand how we conceptualize our work, so that it does not continue the perpetuation of underrepresenting the issues facing People of Color. These issues should be apparent to most, passively acknowledged by some, and indignantly ignored by others. When we frame the issues and opportunities that define our work, understanding intersectionality is essential if we are to avoid inadvertently prioritizing the needs of some over the conditions of others. On October 11, 2018 the College of Public Affairs and Administration (CPAA) and its Doctor of Public Administration (DPA) program at the University of Illinois-Springfield (UIS) will be hosting a community summit on program evaluation. They are offering this summit as a service to professionals in the nonprofit community and state and local governments as well as students and faculty from a variety of disciplines. Please browse this website for more detail. They hope that Chicagoland evaluators will join and encourage all attendees to car pool if possible (email connect@evalchicago.org if you are planning to attend and are interested in a carpool setup). You may park in lots I and J (click here for parking map). Expanding our membership: Our CEA membership is the largest it has ever been and we welcomed our first ever institutional members, the AIDS Foundation of Chicago and the Education Development Center. In the coming year, we will be polling members to learn about your needs and vision for CEA programming and events. Members looking to get more involved can volunteer for our committees! Send an email to connect@evalchicago.org if you are interested in learning more. Creating a fresh look: The Communications Committee has been hard at work! CEA has a brand new logo and branding. Check it out on our new website www.evalchicago.org. Increasing programming: Led by our Professional Development Committee, CEA has hosted six events so far in 2018. These included presentations and workshops from evaluation leaders like David Fetterman, and Tom Lipsey as well as local evaluators like the St. Louis AEA affiliate’s Matt Feldmann and UIC’s Terry Ann Solomon. Our year continues with even more opportunities for professional development this month and next. Utilizing Partnerships: CEA is leveraging our partnerships with The Evaluation Institute, Lurie Children’s Hospital, and Northwestern University to bring together our membership with a broader group of organizations and evaluators. We are also active members of AEA’s Local Affiliate Council which offers opportunities for us to network with other AEA affiliates. Please feel free to contact us at connect@evalchicago.org if you have any comments for CEA Leadership! I hope to see you soon at a CEA event! The Chicagoland Evaluation Association is delighted to welcome AEA President Dr. Leslie Goodyear to our Annual Event at the Shedd Aquarium. Leslie will be speaking on the AEA 2018 Conference Theme, Speaking Truth to Power, the new Guiding Principles for Evaluators, and other AEA happenings. Representatives from Northwestern, community agencies, and the CDPH to talk about their experiences working together on comprehensive HIV prevention demonstration projects and will include discussion about working together to improve our response to HIV. This session is designed for community organizations and will provide information on how to prepare for partnering with an evaluator and/or evaluating their programs. Because CEA members have such tremendous talent and experience to share with other members, we are featuring one member post in our quarterly newsletters. If you are interested in sharing your work with other members - email us at connect@evalchicago.org. Hi, Amelia Kohm of the Data Viz for Nonprofits here to talk about logic models. The evaluation world is lousy with logic models. You may know logic model by one of its other names such as causal chain, model of change, roadmap, and theory of change. A logic model is really just a humble flow chart with an erudite name. It’s a visual representation of how an intervention or program is supposed to work. And it should help evaluators articulate evaluation questions and select appropriate methods and measures to answer them. Logic models are hypothetical, best case scenarios. And, well, reality can bite. Logic models often get more play during the planning and proposal-writing phase of a project than during implementation. During the daily work of a project, logic models are taking it easy, gathering dust in files and on servers. But what if we could plug a logic model into the real world? What if we could see how the plan is playing out in reality and make adjustments along the way? With data visualization software like Tableau, you can create a “living logic model. The current that animates it is real-time data. A living logic model compares theory to reality by showing progress to date. It also allows you to track the progress of subgroups and individuals. So it helps you to plan, to ask the right questions, and to make mid-course corrections. A living logic model is more understandable and tangible than a traditional one. The user can scroll over any component in the model to learn more about it. Such descriptions can include photos and web links for interested users. A living logic model shows progress to date. Color saturation indicates the status of each component. And the user can click on any component to see what subgroups might be driving progress, stagnation, or regression. Play around with this living logic model that I created for a tutoring program to get an idea of its potential. Scroll over components to get more information. Click on components to get data on individual students. Enjoy and please let me know if you have any questions. Bridge Communities is seeking an experienced qualitative program evaluation consultant or organization to conduct oral history interviews with alumni of their transitional housing program. This work builds on a pilot and an ongoing larger survey evaluation of long term outcomes. Only consultants and firms/organizations with extensive experience conducting qualitative program evaluation studies will be considered. Bridge Communities is celebrating 30 years this fall 2018. We are committed to hearing how our programs have impacted the lives of our transitional housing program alumni and specific recommendations for improving Bridge Communities. Bridge Communities serves families with dependent children that are homeless or at risk of becoming homeless and live or work in DuPage County, a suburban area of Chicago, Illinois. Over 90% of Bridge’s client families are headed by single mothers, approximately 55% of whom are survivors of domestic violence. The transitional housing program has developed over the last 30 years from a short term 3-month program to a 24-month program with potential for extensions. Supportive services have also grown from a financial literacy and mentoring model to also encompass employment services, adult education, children’s programming, nutrition, car donations, and mental health services. 60 minutes. Bridge Communities will provide the protocol and guide for the oral history interviews. The ability of the contractor to collaboratively review pilot lessons learned and contribute to process and tools is highly desirable. We are hoping that a consultant group can complete data collection (interviewing approximately 30 additional alumni) and take the lead on analysis and reporting. 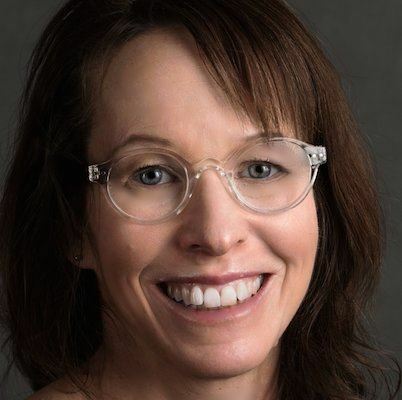 Our Manager of Data and Evaluation, Susan Ryerson Espino, PhD, will be a collaborative partner to the retained consultant/firm and will oversee all data collection, analysis and reporting. Bridge Communities will cover the incentive for participants and transcription costs. All recordings, transcripts and work products associated with data collection, analysis and dissemination will be owned by Bridge Communities and stored on our secured sharepoint site. This is part of an evaluation study and we are interested in incorporating elements of the oral histories into dissemination efforts (staff development efforts, funding reports and proposals, conference presentations, and peer reviewed journal articles). We are open to exploring the need for and the expense of an external ethics (IRB) review. Should this be recommended, the Contractor will facilitate submission of all relevant materials for local ethical approval. Written 20 page final report with orienting literature review to contextualize process and findings, methods, analytic strategy, results and discussion by September 30, 2019. An institutional/organizational capacity statement, roles and responsibilities of all staff consultants, and summary of similar work conducted in the past 2 yearsProposed collaboration, data collection methods, data sharing, and protection of confidentiality, analysis approach including software solutions, quality control methods, and dissemination strategies. Append a detailed budget including justification. Budget should include all costs associated with data collection field work and if needed costs to cover ethics review. Append certificate of insurance: the limits and deductibles on your policy, who is insured (i.e., you or your business’s name as the named insured), the name of the insurance company issuing the policy, and the effective and expiration dates of your policy. Complete proposals should be submitted to our system by 5pm (CST), August 31, 2018. All proposals will be reviewed for completeness, quality, and feasibility. The top 3 applicants will be invited by 9/17/18 to present their proposals to a selection committee composed of staff and constituents during the week of September 24, 2018. One applicant will be selected and notified by 9/28/18 and contracting and work will begin immediately. The Obama Foundation is hiring an Impact and Evaluation Senior Associate who will support the development of a learning culture within the Foundation and implementation of the Foundation’s Learning and Evaluation strategy. Reporting to the Impact and Evaluation Manager, the Senior Associate will design and implement evaluations of Foundation programs and initiatives​, and serve as an evaluation expert and learning partner. The ideal candidate has a proven track record designing and conducting evaluations and measurement systems, experience helping organizations use data for reflection and strategic refinement, experience collecting quantitative and qualitative data, and demonstrated interest and experience considering issues of marginalization and equity in evaluation. ​Four or more years of relevant evaluation experience required. This position is open to all Foundation offices - Chicago, Washington D.C., and New York City. To apply please submit your application, including your resume and cover letter here. The Foundation is committed to creating a diverse environment and is proud to be an equal opportunity employer. We encourage individuals of all backgrounds to apply. Founded in January 2014, the Obama Foundation is a living, working center for citizenship in the 21st century aimed at identifying, training, and connecting the next generation of leaders and engaged citizens. The Foundation is developing the Obama Presidential Center on the South Side of Chicago to serve as headquarters for the projects it will undertake across the city, the nation, and around the world. As President Obama said in his farewell address, "I am asking you to believe. Not in my ability to bring about change — but in yours.” That concept is one the Obamas championed from the beginning, and it is now a cornerstone of the Obama Foundation’s efforts to support and develop the next generation of active citizens and emerging young leaders at home and around the world. Real change—big change—takes many years, and requires each generation to believe that its participation matters and embrace the obligations and opportunities that come with the most important office in a democracy: that of Citizen. Together, we have made extraordinary progress. Because there is more to do, this work lives on in the Obama Foundation. For more information on the Obama Foundation, please visit www.obama.org. Members of the Chicagoland Evaluation Association are invited to participate in Claremont Evaluation Center’s annual Professional Development Workshops. The annual workshop series provides working professionals and students with world-class practical and theoretical training in evaluation and applied research. This year’s series is scheduled for August 15-22, and will feature 19 seminars covering various topics in statistical analysis, culturally responsive evaluation, evaluation capacity building, and more. This longstanding series, taught by leading academics and seasoned practitioners, can be experienced onsite at Claremont Graduate University, or wherever you are, thanks to highly interactive online webcasts. To see a full list of the workshops and to register, go to the Claremont Evaluation Center website. For group rates and student discounts, please contact Omara Turner, omara.turner@cgu.edu, (909) 607-9013. 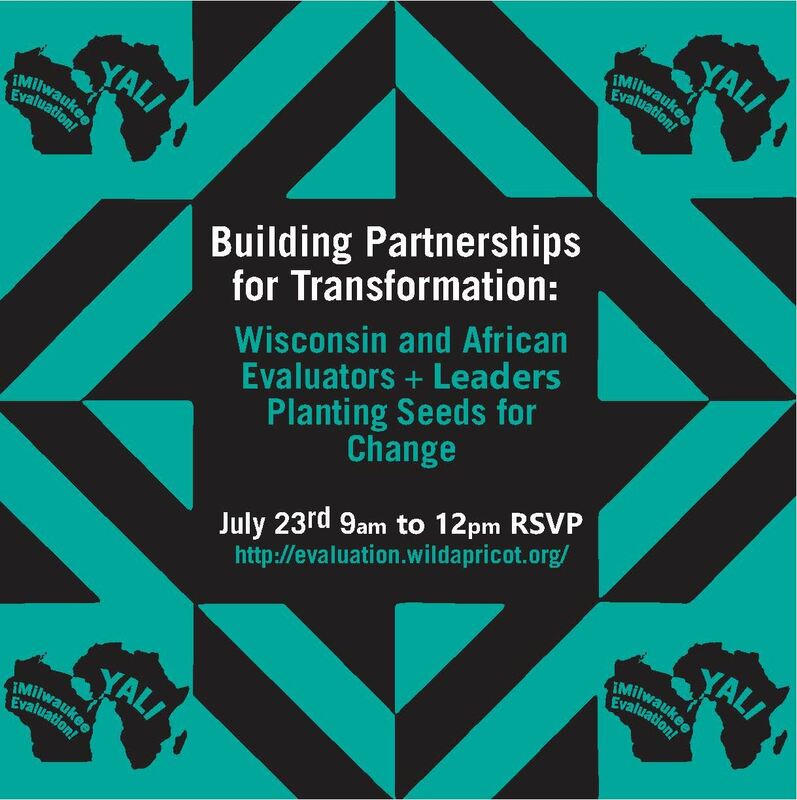 You are invited to a meeting of ¡Milwaukee Evaluation! members with President Barack Obama's Young African Leaders Initiative (YALI) -- many of whom are engaged in evaluation and visiting Wisconsin for a limited time. This event is designed to exchange ideas and mix professional development with plenty of networking. Wakanda evaluation: How can Africans and African Americans connect on evaluation? Unpacking capitalism: How do we understand capitalism in our evaluation work? Feminist evaluation: How do men practice it? ¡Milwaukee Evaluation! is charging a small fee to cover refreshments and drinks but wnat to be responsive to everyone's diet needs and restrictions. If cost is an issue, please let them know. If you have questions, please contact Elise Ahn at elise.ahn@wisc.edu. Casey Family Programs is in search of a Director in their Research Services department. The Director of Research Services has responsibility for leading evaluation studies for the team within Research Services at Casey Family Programs. This individual will work with Casey staff and other agencies to evaluate the effectiveness of child welfare and related prevention, education, employment and mental health programs, products or tools. This role will develop and lead a team whose purpose is to plan and coordinate research or evaluation projects, including research design, data collection, data coding, data analyses and report writing. This role requires familiarity with state and county child and family welfare agency research capabilities and resources, as well as the ability to develop and evaluate standardized measures for evaluating the effectiveness of child welfare programs, products and tools.